If you like to travel, you're going to love the ease of earning free travel! With Bank of America® Travel Rewards credit card, you’ll take a step closer to a free flight or hotel night every time you swipe your card. What’s better than that? Earn 1.5 points for every dollar you spend with no limits. Plus, earn 25,000 bonus points after spending $1,000 on purchases in the first 90 days after opening a new account. That is enough for a $250 travel statement credit! This card charges no annual fee and no foreign transaction fees. It is perfect for a frequent traveler! In order to earn the sign up bonus, $1,000 in purchases must be completed within 90 days of applying for your new card. You also can’t transfer points to any airline or hotel programs, you must redeem against cash travel spend. This is our favorite flat rate travel rewards card with no annual fee. You can earn valuable travel rewards from everyday purchases. Thanks to the signup bonus, you start with enough travel rewards for a free flight! The deal is even sweeter for Bank of America® banking customers who get 10% or more in bonus rewards when you have an active checking or savings account. With no annual fee, it doesn’t cost you a cent to get started! The Capital One® Venture® Rewards Credit Card offers a simple way for cardholders to earn miles. For every dollar you spend with the card, you’ll get back 2x miles to use toward various travel costs like airfare, hotel stays and rental cars. If you spend $3,000 in purchases during your first three months as a cardholder, you’ll earn 50,000 bonus miles. The miles you earn won’t expire and there’s no cap on how many you can earn. 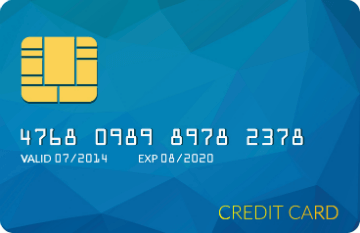 Initially there are few extra costs associated with this card, as there’s no annual fee for a year. Though the flat 2x mileage rate with the Capital One® Venture® Rewards Credit Card is right in line with, or better than, many of its competitors, the card doesn’t feature any further rewards. More specifically, there aren’t any bonus spending categories that cardholders could use to earn more miles per dollar spent. Cardholders hoping to use this card to transfer balances should note that there is no introductory APR on balance transfer. The card’s APR for balance transfers is 17.99% - 25.24% Variable, meaning it may not make the most sense to use this card to transfer balances. 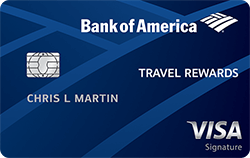 While some other travel cards might have the potential for more total rewards earnings, the Capital One® Venture® Rewards Credit Card offers a simple way to get travel rewards and has a low annual fee. The ability to redeem your mileage as a statement credit toward just about any travel-related purchase makes it a good fit for frequent travelers. 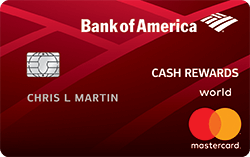 The Bank of America® Cash Rewards credit card offers lots of cash back possibilities. Earn 3% back in a category of your choosing, 2% back at grocery stores and wholesale clubs, and 1% back everywhere else. 2% and 3% cash back bonus categories earnings are limited to $2,500 in choice category/grocery store/wholesale club purchases each quarter. New cardholders who spend at least $500 during their first 90 days with an account will earn a bonus $150 cash back. Bank of America® checking and savings account holders will earn an extra 10% cash back bonus when they redeem cash back to their account. There’s also a very low cost structure associated with being a cardholder, including no annual fee and a 0% introductory APR for 12 billing cycles on purchases and on any balance transfers made in the first 60 days of account opening. After that, an APR of 16.24% - 26.24% Variable APR on purchases and balance transfers will apply. While the percentage back rates involved with the Bank of America® Cash Rewards credit card are very strong, there is a limit on how much you can earn. The 2% and 3% rates only last up to a combined $2,500 in choice category/grocery store/wholesale club purchases in those categories quarterly. The up to 29.99% variable penalty APR that can apply to new transactions if you make a late payment may be a turnoff for some potential cardholders. There are few cards that reward typical daily purchases as much as the Bank of America® Cash Rewards credit card. The 3% cash back rate on gas purchases, along with 2% cash back at grocery stores and wholesale clubs (up to a combined total of $2,500 in choice category/grocery store/ wholesale club purchases quarterly) offers a lot of simplicity for a prospective cardholder looking to avoid the normal rotating categories. Chase Freedom® offers you the chance to earn 5% cash back throughout the year, without paying an annual fee. You earn 5% cash back on up to $1,500 spent each quarter at select merchant categories such as gas stations, grocery stores and drug stores. To be eligible to receive this bonus cash back, you must login to your account each quarter and activate your bonus categories. You also earn 1% cash back on all other purchases. This card also offers new applicants the ability to earn $150 bonus after spending $500 within 3 months of account opening. New customers receive 15 months of 0% intro APR financing on both new purchases and balance transfers, with a 5% or $5 (whichever is greater) balance transfer fee. There is no annual fee for this card, but it does have a 3% foreign transaction fee. It's always smart to earn 5% cash back on your purchases, even if you are limited to $1,500 in combined purchases in select bonus categories each quarter that you activate. Chase Freedom® also has a good bonus you can earn within the first 3 months from account opening and a valuable promotional financing offer. Unfortunately, its balance transfer fee of 5% or $5 (whichever is greater) is higher than the 3% fee seen on most of these offers. Chase Freedom® makes sense for people who want to earn the most cash back on bonus categories, without paying an annual fee. The Capital One® QuicksilverOne® Cash Rewards Credit Card offers those with an average credit score the ability to really earn some serious cash back. In fact, you’ll earn 1.5% cash back on every single purchase made with the card. There’s no limit on the amount of cash back you can earn, and your earnings will reside in your account until the day you close it with no expirations. Rotating cash back categories don’t exist here either, as the flat 1.5% rate applies to all purchases. But in the end, this card is meant to help those with a mid-tier credit score move up the credit ladder. For example, if you make your first five monthly payments on time, you’ll immediately be given the opportunity to get a raise in your credit line. Furthermore, the card includes access to CreditWise® from Capital One® so you can make sure you’re on top of any changes to your credit situation. 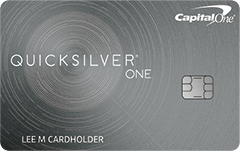 The Capital One® QuicksilverOne® Cash Rewards Credit Card does not offer low into APRs on purchases or balance transfers. If you’d planned to use the card to make a balance transfer or you’ve had problems with late payments in the past, this is something you’ll definitely want to pay close attention to. If used correctly, this card can maximize rewards for those with less-than-stellar credit scores. But things could turn on you quickly if you miss payments or get bogged down by the costs involved with being a cardholder. The card also has a $39 annual fee. This is fairly low fee as far as credit cards go but it is something to keep in mind. You can rest assured that you probably won’t find a better cash back option for those with an average credit scores than the Capital One® QuicksilverOne® Cash Rewards Credit Card. The 1.5% cash back rate offers a lot of possibility for cardholders to see monetary benefits, as well as improve their credit situation. The Citi® Double Cash Card clearly holds to its name, as you will earn 1% unlimited cash back on all purchases and 1% cash back on when you make payments as long as you pay the minimum due. There are no restrictions or caps on the amount of cash back you can receive. The rewards can be redeemed as checks, statement credits or gift cards. The maintenance costs associated with this card are respectable, as you’ll receive an APR from 15.74% - 25.74% Variable, depending on your credit score. There’s also no annual fee. Those looking to make a balance transfer should pay special attention though, as there’s a 0% introductory APR for 18 months on balance transfers made within four months of account opening. The Capital One® VentureOne® Rewards Credit Card is essentially the next step above the Capital One Venture® Rewards Credit Card. Whereas the Venture® Card offers 2x miles on all purchases and a 50,000 mile sign-up bonus, the Capital One® VentureOne® Rewards Credit Card offers 1.25x miles on purchases along with a sign-up bonus of 20,000 miles. In this case though, the Capital One® VentureOne® Rewards Credit Card requires $1,000 spent during your first three months as a cardholder to qualify for the bonus mileage, in comparison to the Venture® Card that requires $3,000. The slight dip in rewards with the Capital One® VentureOne® Rewards Credit Card is made up for in other places though. In fact, new cardholders will receive a full year with a 0% introductory purchase APR, as well as no annual fee. Following that intro period, you’ll receive a 14.24% - 24.24% Variable APR, a nice range for a card with such a solid rewards program. Enjoy a low intro APR on purchases for 12 months; 14.24%-24.24% variable APR after that. 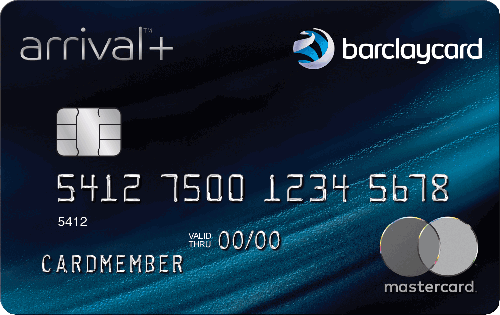 The Barclaycard Arrival Plus® World Elite Mastercard® features more than a few ways to help you travel cheaper and more often. To begin with, you will earn 2x miles on all purchases. Plus, you can earn 70,000 bonus miles by spending at least $5,000 in purchases during your first 90 days as a cardholder. This mileage can then be redeemed for travel credits, cash back statement credits, gift cards and retail merchandise. The travel benefits continue with no foreign transaction fee as well as no expirations on miles. You’ll also receive back 5% of your miles every time you redeem them to help get ready for your next trip. The $89 annual fee is waived for the first year, and you’ll receive a 0% introductory APR for 12 billing cycles on balance transfers completed in the first 45 days. After that intro period, your balance transfer and purchases APRs will both fall at either 18.24%, 22.24% or 25.24% Variable. The main draw of the Chase Freedom Unlimited® card is its flat 1.5% cash back rate on all purchases, making things simple for cardholders with no rotating categories or stipulations. There’s no required minimum amount of cash back you need to accumulate prior to redeeming it. There’s also no expiration date. Redemption options include a direct deposit into most U.S. checking or savings accounts as well as redeeming directly on Amazon.com and for gift cards. Your travel costs could also be significantly reduced if you pay with cash back by booking your trip through Chase Ultimate Rewards®. The card also has no annual fee, and new cardholders will receive a 15-month, 0% introductory APR on both purchases and balance transfers. Following that, your APR will be 17.24% - 25.99% Variable. If you love to travel, is one of the best options available today. With this card, you can earn 2x points for every dollar you spend on travel and dining at restaurants worldwide. Earn 1x point everywhere else. Plus: start out with a hefty 50,000-point sign-up bonus, worth at least $625 in free travel! Spend $4,000 on the card within 3 months of opening your new account to earn the bonus. Earning points is easy with this card, and Chase Ultimate Rewards® points are flexible and easy to use. You can also transfer points to partner airlines and hotels, including United, Southwest, Marriott, Hyatt and many more. With this card, your next vacation is just a few swipes away. This card charges a $95 annual fee, but comes with an introductory rate of $0 for the first year. The card comes with a 18.24% - 25.24% Variable APR. Your interest rate is based on your credit history and current market interest rates. This is a powerhouse travel rewards credit card. Chase Ultimate Rewards® points give you a ton of freedom. Why pay for flights and hotels when you can get them for free? Use it for your regular spending and watch your points balance grow. Then, book without restrictions and get a 25% bonus on your points through the Ultimate Rewards® Portal. You’ll be off to Europe, a week on the beach or a bucket list destination before you know it. This is our top choice for travel rewards credit cards. New Capital One® Quicksilver® Cash Rewards Credit Card cardholders can earn a $150 cash back bonus when they spend $500 in purchases during the first three months of opening the account. However, the real cash back earnings are done through the 1.5% cash back rate that applies to every purchase made with the card. There aren’t any caps or expiration dates on your rewards, and you can redeem them no matter how many you currently have. You can also rest easy knowing that the maintenance costs associated with the Capital One® Quicksilver® Cash Rewards Credit Card are quite low, especially in the beginning. In fact, a 0% introductory APR will apply to both purchases and balance transfers for your first 15 months as a cardholder. Following that, your APR will be 16.24% - 26.24% Variable. On top of that, there’s also no annual fee or foreign transaction fee. Methodology SmartAsset has developed a quantitative and independent system for evaluating the relative value of a credit card offer versus other offers in the marketplace. Our system evaluates cards based exclusively on their features, such as their rewards earning rate (if applicable), fees, perks, and rewards program redemption options. The annual rewards values on this page are calculated using annual spending assumptions in various categories such as, but not limited to, gas, restaurants, airfare, and US supermarkets. These spending assumptions are built on research that SmartAsset has conducted on existing rewards credit cardholders. Our promise with our credit card recommendations is that we will always strive to have the most comprehensive, accurate, and objective method of evaluating credit card offers. Any recommendations are solely determined by the result of this research and model, and is never influenced by any fees, commissions, or other forms of compensation that SmartAsset may receive from credit card issuers for leads generated on our website. Standard credit cards leave you with nothing but a bill that you’ll need to pay off. But rewards credit cards offer various perks just for paying with plastic. Some rewards credit cards come with a sign-up bonus that consumers can earn after spending a certain amount of money within a specific time frame. But generally, all rewards credit cards provide incentives to cardholders who make certain purchases or shop at certain retailers. Rewards credit cards come in many different flavors. But the types of rewards that you can earn fall into three main buckets: points, travel miles and cash back. What’s the difference between the three types of credit card rewards? We’ll explain. If you have a credit card that allows you to earn points, you’ll rack up rewards over time that you can later redeem in a variety of ways. Your rewards card program may allow you to exchange your points for gift cards and special services. You may also be able to swap your points for merchandise through an online shopping mall. Instead of signing up for a general rewards program that lets you apply your points almost anywhere, you could get a travel rewards credit card. Travel rewards cards are typically based on a system that gives you the chance to earn points that you can redeem for hotel stays, rental cars and flights. The way a rewards program is set up may vary depending on the credit card issuer that manages it. But generally, when you have the opportunity to accumulate points, you’ll earn a point for spending a certain amount of money. For example, you may earn one point for every dollar you spend. A single rewards program may structure the way it awards points differently based on the kinds of purchases that an individual makes. In other words, you may be able to earn two points for every dollar you spend at the gas station but three points for every dollar you spend at the grocery store. Or, you may earn a certain number of points dollar for dollar regardless of where you’re spending money. Some of the best rewards credit cards let consumers earn transferable points. This means that if you earn points, you may be able to convert them to travel miles. Those kinds of programs give you a lot more flexibility when it comes to redeeming your rewards. You might also have the chance to redeem your rewards points as cash back. Instead of points, some credit card issuers offer rewards in the form of cash back. When you purchase certain items, a percentage of what you spend may be given back to you as a cash reward. If you’re part of a cash back rewards program, you may be able to earn between 1% and 5% of what you spend on everyday purchases (but in most cases, you’ll only earn around 1% cash back). You may qualify for a higher percentage of cash back when you shop at certain places like gas stations and restaurants. Some rewards programs offer as much as 20% cash back. Cash rewards can be deposited into a bank account or dispersed in the form of a check. Sometimes, you can withdraw your cash rewards whenever you want. But there are credit card issuers who only hand out cash rewards once per year. To find out how a specific rewards program works, you’ll need to review a credit card’s terms and conditions. Sometimes the phrase “cash back” can be misleading. In fact, some cash back programs don’t give out cash at all. In these circumstances, cardholders with cash back cards receive points (rather than cash) that they can trade in for statement credits. Never heard of a statement credit before? It’s simply money that a credit card company or retailer can post to someone’s account, much like it would post a credit card charge or a refund. With statement credits, you don’t have the freedom to use your rewards during an emergency or whenever you need extra cash. But you can use a statement credit to pay off outstanding balances within your credit card account. Airline miles are a third type of credit card reward. Certain credit cardholders can earn miles that they can eventually exchange for plane tickets. Redeeming airline miles is similar to redeeming points. If you accumulate enough miles, you may qualify for a free trip or a flight that costs next to nothing. You may also be able to use your miles to pay for other travel expenses and get access to various benefits like buddy passes and complimentary upgrades to first class. Usually, there are a few ways to earn miles. Airline miles might accumulate whenever you use your credit card to make everyday purchases. With some types of cards, for example, you’ll earn one mile for every dollar you spend using your credit card. You may be able to earn extra miles by finding a card with a sign-up bonus (that gives you additional miles for spending a certain amount of money within a few months of opening your account). Miles can also add up whenever you book a flight. This means that the more you travel, the more miles you’ll have. But some of the savviest frequent flyers earn the majority of their airline miles without setting foot on an airplane. In some cases, you can earn miles by filling out a survey or opening a new bank account or investment account. You can also earn miles through special rewards programs such as airline dining programs. Another way to get airline miles is to transfer your credit card points to miles. But if you’re interested in doing that, you’ll need to pay attention to the conversion rate. One point is often equal to one mile. But you may be able to earn bonus miles for transferring a certain number of points. There are many different kinds of rewards credit cards. Besides credit cards that offer points and cash back credit cards, there are co-branded credit cards that give you extra points and other perks for purchasing products offered by the retailer, airline or the hotel that sponsors your credit card. You can also apply for a gas credit card. With a gas credit card, you’ll earn rewards every time you pay at the pump or whenever you buy gas from a particular company. Many of those cards are cash back or rebate cards. Best of all, they may allow you to earn cash back every time you use your card. So you may earn 1% cash back on standard, daily purchases and as much as 10% cash back (perhaps during a short introductory period) when you stop by the gas station. Two other types of rewards credit cards are general travel rewards credit cards and airline miles credit cards. With a general travel rewards card, you’ll be able to earn miles or points that you can redeem through multiple airlines or trade in for gift cards and merchandise. You may also be able to exchange your miles for statement credits that cover the cost of just about any travel expense, including hotel stays, cruises and car rentals. In contrast, an airline credit card will limit your ability to earn and redeem rewards. Generally, these kinds of rewards cards are tied to frequent flyer programs and the only way to rack up rewards is to spend money with a particular airline. Rewards credit card offer all sorts of perks. With an airline credit card, for example, you can take advantage of things like priority boarding, seat upgrades and companion passes for your friends and family members. Some airline credit cards make it possible to get to the elite status level more quickly. With elite status, travelers get exclusive rewards such as lounge access and same-day flight changes. Some of the best rewards credit cards let consumers redeem their points for tickets to concerts and sporting events and discounted admission to theme parks and spas. In the process of earning rewards, you can save money on gifts and day-to-day expenses. Through some programs, you can also donate your rewards to your favorite charity. Cardholders can invest their credit card rewards, too. Certain programs will allow you to take the rewards you earn and put them in an investment account. A rewards credit card can save you money in many different ways. Instead of using all of your hard-earned dollars to pay your monthly bills, you could use the cash back you earn to make your student loan, car loan and mortgage payments. The earnings you would’ve put toward your debt payments can then be used for other purposes. You could also invest your cash rewards and potentially earn more money. 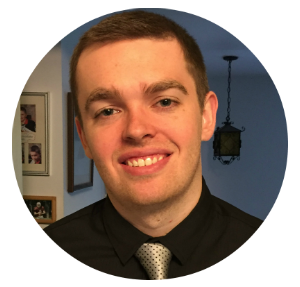 As you can see, a cash back credit card can essentially serve as an additional source of income. Travel fees and costs can quickly add up. But you may be able to use an airline credit card to avoid paying baggage fees and score discounts on the flights you purchase with your miles. With just one or two rewards cards, you could earn thousands of points that you could redeem for cheap tickets to distant lands. That’s not something you can do when you pay with cash. Even the best debit card rewards programs are no match for the rewards programs tied to credit cards. But you don’t have to travel in order to make the most of a rewards credit card. You can use a rewards credit card to cut costs on a daily basis. Different credit cards offer deals on dining, entertainment, gasoline and health-related expenses. A rewards credit card may sound perfect for anyone who’s trying to save on travel or earn cash that they can use to pay off debt. But there’s often a catch. A free flight that you trade in for your airline miles won’t be completely fee since you’ll probably have to pay fees and taxes. In exchange for using a rewards credit card, you may have to pay extra fees (like an annual fee). You may also get stuck with a high annual percentage rate. This often happens with rewards cards that offer cash back. That’s because cash rewards can be a major expense for credit card issuers. If you’re applying for a credit card with points, miles or cash back, note that your rewards program could change at any moment. That’s why reading your credit card statements and terms carefully is important. What’s more, rewards can expire or disappear if you fail to use your credit card in a responsible manner. If you don’t use all of your points within a set time period, you may have to forfeit the rewards you worked so hard to earn. If you can’t keep up with your monthly credit card payments, you may have to kiss your credit card rewards goodbye. And if you close your credit card account before redeeming all of your rewards, you may lose access to them. You can also come across issues when you’re trying to redeem your rewards. For instance, your ability to exchange your airline miles for plane tickets may be restricted by blackout dates (or days when you’re not allowed to redeem your rewards). These dates normally fall around busy travel periods like major holidays. If you’re a frequent flyer, there may be a limited number of plane seats available to you on any given day. With so many rules and regulations attached to credit card rewards programs, it’s easy to make mistakes. For example, you may not realize that a statement credit cannot be used to cover a minimum credit card payment (in most cases) until you’re hit with a late payment fee. Furthermore, you may decide to stop using a cash back credit card altogether only to realize later that in order to redeem your statement credits, you must continue making purchases with your card. In an attempt to earn as many rewards as possible, you could fall into a debt spiral. Credit card churning (or applying for rewards credit cards just to get a sign-up bonus) can be addictive. But in the end, you could destroy your credit score and end up with more debt than you can pay off. Anytime you apply for new credit – whether it’s a student loan, a mortgage or a rewards credit card – your credit score will fall. But this change won’t be permanent. In no time, you should be able to raise your credit score by paying your credit card bills on time and keeping your credit utilization ratio low, among other things. Your credit utilization ratio (or your debt-to-credit ratio) is the amount of credit you’ve used relative to the total amount of credit that’s available to you. Generally, experts say that it’s best to keep your debt-to-credit ratio below 30%. Most lenders refer to FICO credit scores. That scoring model says that 30% of your credit score will depend on your credit utilization ratio and the amount of debt you haven’t paid off. Just having a rewards credit card won’t help or hurt your credit score in any way. What happens to your credit ultimately depends on how you use your credit card. If you’re juggling multiple rewards card accounts at one time, keeping track of your payment due dates and how much you owe on each card can be tricky. If you can’t stay organized and you miss a payment deadline, your credit score could drop. After all, your payment history accounts for 35% of your FICO credit score. Credit card churning can potentially hurt your credit score in several different ways. New credit inquiries only account for 10% of your credit score. But multiple inquiries within a short period of time can raise a red flag with credit card issuers. Closing just one credit card account after you’ve earned a sign-up bonus (or reaped whatever rewards you want) can damage your credit score as well. For starters, it’ll affect your credit utilization ratio. Perhaps you have a total credit line of $10,000 across three of your credit cards and a total balance of $2,800. Your credit utilization ratio is 28% ($2,800/$10,000). If you close a rewards credit card with a $3,000 balance, your credit utilization ratio will climb to 40% ($2,800/$7,000). If that happens, you’ll need to be prepared for your credit score to dip. Who Should Apply for a Rewards Credit Card? Want one of the best rewards credit cards? You’ll need to have a good credit score. That means your score should be around 700. But if you have bad credit, you may not be eligible for a rewards credit card. After all, if you’re a risky borrower with a higher chance of defaulting on your credit card debt, it doesn’t make sense to give you access to rewards in the first place. Rewards credit cards are also best for folks who normally refrain from carrying a balance from month to month (meaning that you usually pay your credit card bill in full). That’s because rewards credit cards typically have extra fees and/or high interest rates. The easiest way to make the most of your rewards is to ensure that you’re not spending a ton of money on interest. If you can avoid paying interest altogether, you can save money and use your credit card rewards to cover the cost of other bills and debts. Detail-oriented folks are also good candidates for rewards credit cards. In addition to credit card payment due dates, you’ll have to keep up with minimum spending requirements and credit limits. You’ll need to be well-versed on the rules related to the redemption of your rewards, too. If you’re looking for the best rewards credit card, you’ll need to shop around and review the terms and conditions that apply to different cards. You’ll need to find out as much as possible about the way a credit card rewards program is structured before signing up. Will you be able to redeem the rewards from your cash back credit card as cash or statement credits? Can you earn more rewards by using a certain credit card at a particular store or retailer? Will the rewards expire? Asking these kinds of questions is important if you’re trying to find a rewards credit card that meets your needs. Something else to focus on is the cost of signing up for a particular credit card. We’re talking about fees. If you don’t want to pay a premium for having a rewards credit card, it’s best to look for a credit card without an annual fee and an annual percentage rate that’s on the lower end of the spectrum. As of April 2017, the average APR for a rewards credit card is 15.79%. Annual percentage rates for cash back and airline miles credit cards are around 15.76% and 15.73%, respectively. In some situations, signing up for a rewards card with a high annual fee may be worth it. High annual fees are normally an indication of an opportunity to earn more rewards. But if you can’t afford to spend enough money (and earn enough rewards) to compensate for the higher fees, you’re probably better off with a low-fee rewards credit card. As you’re comparing rewards cards, don’t forget to consider your approval odds. Your credit score is one factor that affects your chances of qualifying for a particular credit card. If your credit score is significantly lower than the recommended range for credit card applicants, you may want to look at a different set of rewards cards. The process for evaluating credit card offers will differ depending on whether your rewards credit card offers cash back, miles or points. For instance, if you’re comparing rewards cards that allow you to earn airline miles, it might be helpful to find out how many miles you’ll need in order to be eligible for a free flight. And if you’re looking for a cash back credit card, it’s best to pick one that offers as much money as possible and rewards you with cash rather than a statement credit. An additional factor to consider is whether a rewards credit card offers other benefits (besides the cash back, miles or points) that appeal to you. For example, baggage fee waivers may be helpful to frequent travelers looking for ways to cut back on their expenses. Your spending habits should play a big role in determining which rewards credit card is best for you. Calculating how much you spend on groceries, travel, gasoline and goods from certain retailers is a great step to take before choosing a rewards credit card. If you spend a large portion of your income on groceries, getting a credit card that rewards you for shopping at the supermarket might make sense. And if you tend to spend a lot of money at a single retailer, getting a co-branded credit card that rewards you for shopping could be a good idea. How easily you’ll be able to earn and redeem rewards and the value of those rewards also matters. 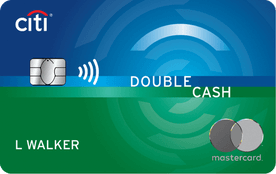 The best rewards credit cards make it easy to double dip and earn twice as many rewards at one time. If you’re strategic, you may be able to use your credit card to earn three or four times as many rewards. On the other hand, if accruing and redeeming rewards is going to be a hassle or you’ll only be able to use them within a short period of time, putting effort into earning those rewards could be a waste of time. Fees and interest rates are two other key factors for consumers. In order for a rewards credit card to be valuable, your rewards must exceed your borrowing costs. The best rewards credit cards have no annual fees and an introductory 0% APR on balance transfers and regular purchases. Finally, your ability to get approved for a rewards card should matter if you’re trying to decide whether you should apply for one. Even if you have a high credit score, your request for new credit could be denied if you’ve recently applied for multiple loans or lines of credit. Should You Choose Points, Miles or Cash Back? If you’re torn between choosing a rewards credit card that offers miles versus one that provides cash back or points, you’ll need to think about your interests, goals and priorities. For example, a card that offers cash back could be a good fit for anyone looking for a simple and straightforward way to earn rewards. Unlike a travel credit card, a cash back credit card may give you the chance to apply your rewards to all kinds of purchases (like groceries, rent payments and trips to the gas station), not just travel-related transactions. Of course, a travel rewards credit card can give you more bang for your buck, especially if you travel on a regular basis for work or you take multiple vacations throughout the year. If you don’t care which airline you use (because you simply want the cheapest flights you can find), you may want to sign up for a general travel rewards credit card. But if you mainly book flights with a specific airline, you may want to consider applying for an airline credit card and joining a frequent flyer program. You’ll also need to keep in mind that accumulating and redeeming airline miles and points will require more leg work than earning and using cash rewards. If you’re not interested in figuring out the best way to apply your points and miles, you may want to get a cash back rewards card instead. What’s more, travel rewards cards aren’t ideal for every traveler. Travel rewards won’t be very valuable for individuals who don’t have flexible schedules, those who tend to travel in large groups and those who only fly during peak travel times. If you have a tough time redeeming your miles or points for travel, you might not be able to use them at all. Knowing how much credit card rewards are actually worth is important, particularly when you’re trying to pick the best rewards credit card. Using a simple formula, you can calculate the value of each credit card reward and determine the best way to redeem them. All you need to do is look at the number of points or miles needed to earn a certain reward and divide that amount by its value (in dollars). Let’s look at an example. Let’s say that in order to get $5 cash back you need 500 points. This means that one point is worth $0.01 ($5/500). The greater the value of your rewards, the better. You can use the same formula to determine the value of all of your credit card rewards. While you’re at it, you might want to try and estimate the value of the other perks associated with a credit card (like rental insurance) based on how much money they could help you save. Of course, figuring out how much your rewards are worth can be tricky. In terms of points, the true value of your rewards can vary depending on how you redeem them. Theoretically, your hotel points could be worth about three cents if you were to redeem 24,000 points for an $800 hotel room ($800/24,000). But if you’re only spending $200 on a hotel room and using just 10,000 points, each point would only be worth two cents ($200/10,000). To calculate the value of your airline miles, you would have to consider your redemption options, the kinds of seats available (if you’re redeeming your miles for plane tickets) and where you’re traveling. Often, the seats that you can claim with the fewest number of miles are hard to come by and have the lowest real value. The value of cash rewards tends to remain fairly stable over time. With miles and points, however, the value of those rewards can decrease over time as credit card issuers make adjustments to their redemption policies. But cash rewards may be worth less than miles and points. A single reward is typically worth 1 cent. Points and miles, however (particularly when redeemed as travel rewards), can be worth 3 to 5 cents per reward. But the value of rewards can vary. Outside of earning points for travel, cash rewards can be worth just as much as points redeemed for merchandise. As you’re comparing credit card offers, it’s important to pay attention to whether points and miles are worth a flat rate or have tiered reward rates. With a flat reward rate, you’ll earn a specific number of rewards for every dollar you spend. But if your credit card has a tiered rewards system, you’ll earn more rewards with certain purchases or after spending a certain amount of money. For example, you might earn 2% cash back once you spend $3,000. Until then, you may only earn 1.5% cash back. Once you’ve picked a rewards credit card that you like, you’ll need to apply for it. You may be instantly approved for a card within minutes. Or you may have to wait a couple of weeks to find out whether you’re approved (particularly if you mailed in a credit card application). Receiving your rewards credit card in the mail could take between seven and 10 business days. As soon as your rewards credit card appears in your mailbox, it’s a good idea to activate it and thoroughly read over the fine print. If you have any questions about earning or redeeming rewards, you can contact a representative from the company that manages your credit card account. If applying for another rewards card leaves you with too many credit cards, you may be tempted to close one of your old accounts (especially if the new card offers better rewards). But you’ll need to think about how that’ll impact your credit score. Getting rid of an account could raise your overall credit utilization ratio and make it look like you’re using a high percentage of your total credit line. Since your credit utilization ratio accounts for 30% of your FICO credit score, your score could plummet. But what if you need to close a credit card account because you’re tired of wasting money on a card with a high annual percentage rate or high fees? You might want to close one of your newer credit card accounts. That’ll have less of an effect on the average age of your credit history (which accounts for 15% of your FICO credit score). If you’ve decided to go ahead and close an account, you’ll need to pay that balance in full and redeem all of your credit card rewards (or run the risk of losing them). To earn as many rewards as you possible can, you’ll need to have a firm understanding of how your rewards program works. If you have a gas credit card, for instance, your strategy for earning plenty of cash rewards may involve using your credit card every time you make a trip to the gas station. If you applied for a credit card with a sign-up bonus, you’ll probably have around 90 days to spend enough money to get the bonus. Meeting a minimum spending requirement is easier than you think it is. You can qualify for a sign-up bonus by purchasing gift cards and getting a head start on your holiday shopping. Just make sure you do most of your shopping through your card’s online portal. With your credit card’s bonus mall, you can earn extra rewards and work toward hitting your spending goal at the same time. Using your credit card to make charitable donations and paying bills with your credit card are a couple of additional tactics that can help you work toward earning a sign-up bonus and additional rewards. If you want to earn as many rewards as possible, you’ll need to figure out whether you can double, triple or quadruple dip. Can you earn twice as many rewards by earning points for using your credit card and getting extra points for dining at a particular restaurant? Can you earn three times as many points by booking a flight, purchasing your ticket through a website that offers its own rewards program (like Expedia) and using a credit card that awards points to people who book through Expedia? Crunching some numbers should help you determine the value of your rewards and the best way to redeem them. And it doesn’t hurt to read up on how other people with your credit card have earned rewards in the past. The process of redeeming credit card rewards can be complicated. Cardholders often have to abide by various rules when they want to cash in on the benefits they’ve earned. For example, consumers with cash back rewards cards can normally only redeem certain amounts of rewards at one time. And under some programs, you have to spend a certain amount of money before you can redeem your cash rewards. Many rewards credit cards have online bonus malls. Through these portals, you can use points to buy products. You can also use your credit card to purchase merchandise and gain cash back and/or additional points. In many cases, you can use the points you’ve earned to pay for part of a good or service and use your rewards card to pay for the rest. Cardholders can access their credit card bonus malls by logging into their accounts. Loyalty programs make it easy to redeem rewards for gift cards, travel and other items. If you’re a member of program that has a partnership with another company, you’ll have multiple ways to earn and redeem your miles and points. Consumers who want to redeem their airline miles for plane tickets may have to do so by calling a travel agent or airline directly. Or you can apply your miles to a flight online through an airline’s website using your account number. As you’re going through the process of redeeming your miles, you’ll need to pay close attention to the awards chart that shows you the number of miles you need for a trip. Some of the best ways to use travel rewards involves using them to book expensive flights to foreign countries and stays at high-end hotels. 1. Which kinds of consumers could benefit from applying for one of the best rewards credit cards? Rewards credit cards are ideal for responsible borrowers who tend to pay their credit card bills in full every month. Since they never have to worry about paying interest, they’re in the best position to maximize their credit card rewards. The higher your credit score, the better your chances of getting approved for a rewards card. Rewards credit cards could also be perfect for consumers who are looking to save money on a regular basis for making credit card purchases. If you usually carry a balance or you tend to make late credit card payments, applying for a rewards credit card might not be a good idea. Having a rewards credit card simply doesn’t make sense if the costs of having that card (through fees and interest payments) exceed the benefits. 2. Which type of rewards credit card should I apply for? In order to choose a rewards credit card, you’ll need to think about your lifestyle and your spending habits. If you’d prefer to put very little effort into earning rewards - and you want to be able to use them to cover the cost of all kinds of expenses - you may want to apply for a cash back credit card. But if you don’t mind doing your research and developing strategies that’ll help you get the most value out of your rewards, you may benefit from a rewards card that offers points. If you travel often and you take long trips abroad (and you have to purchase a pricey plane ticket at the last minute from time to time), you may want to apply for a card that lets you earn miles or travel points. 3. How can I increase my chances of getting approved for a rewards credit card? It’s best to whip your credit into shape before applying for a rewards credit card. These cards are usually reserved for the folks with good or excellent credit. If you’ve recently applied for a credit card, a loan or a line of credit, you may want to wait awhile before filling out an application for a rewards credit card. That way, an issuer can’t turn you down for having too many new credit inquiries. 4. Do all rewards credit cards charge an annual fee? Not all rewards credit cards require cardholders to pay an excessive amount of fees. In fact, some of the best rewards credit cards don’t charge an annual fee. No one likes paying fees. But sometimes the cards that charge a high annual fee offer more rewards than low-fee rewards cards. However, paying an annual fee only makes sense if you plan to spend enough money and earn enough rewards to exceed the cost of paying an extra fee. 5. Do you have to pay your credit card balance in full in order to earn rewards? Paying your credit card balance on time and in full every month will make it easier to get the most bang out of your credit card rewards. But paying off your entire balance isn’t mandatory. As long as you pay the minimum balance every month and your account is in good standing, you should be able to earn credit card rewards. 6. How can consumers use their credit cards to earn cash back, miles or points? There are many ways to earn rewards. With a cash back rewards card, you’ll earn rewards in the form of cash or a statement credit just by using your credit card to make qualifying purchases. Depending on the way a rewards program is structured, you may be able to earn points by using your credit card to book flights and pay for other travel expenses, shopping through your card’s online bonus mall and making purchases at certain retailers, hotels and restaurants. With a standard travel rewards card or an airline rewards card, you may be able to earn miles by purchasing plane tickets and using your credit card to make everyday purchases. Some rewards programs allow you to convert points to miles or cash back. And some credit cards offer a sign-up bonus that gives you extra rewards for meeting a minimum spending requirement within the first three months of opening a credit card account. With some of the best rewards cards, you can easily double or triple the amount of rewards you earn by applying certain strategies. 7. What is a statement credit? A statement credit is an amount of money that a credit card company can add directly to a cardholder’s account. Some cash back rewards cards offer statement credits instead of cash rewards. Unlike a cash reward, a statement credit can’t be applied to anything but the balance within a credit card account. 8. Do credit card rewards expire? Some credit card rewards expire after a set amount of time. Others are available for as long as your account is open. This means that you can lose your rewards by closing your credit card account. To find out whether your miles, points or cash back have an expiration date, you’ll need to refer to your credit card’s terms and conditions or call customer service. 9. Are there types of credit card transactions that won’t help cardholders earn rewards? Different rules apply to different kinds of credit card accounts. But generally, you can’t earn rewards through cash advances, refunds, fraudulent transactions, balance transfers and interest payments. 10. Is there a limit to the number of rewards I can earn? Credit cardholders can usually earn an unlimited amount of rewards, as long as their accounts are current. You may also be able to redeem an unlimited number of rewards, depending on the way a card’s rewards program is set up. 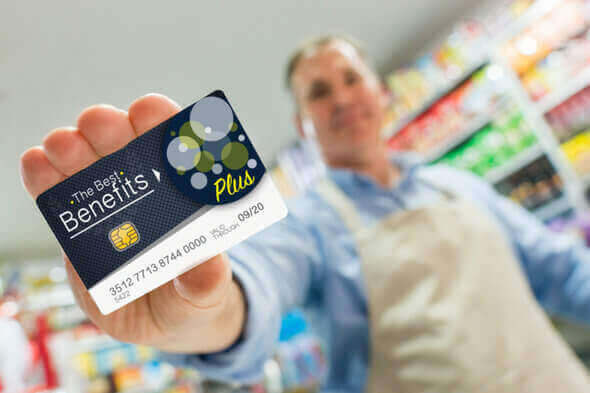 Rewards credit cards give consumers the chance to earn miles, points or cash back that they can trade in for gift cards, merchandise and other perks. Whether you’re trying to score a free flight to Maui or ditch your mortgage debt, credit card rewards can make it easier to reach your personal and financial goals. Before applying for one of the best rewards credit cards, it’s best to consider whether you can afford to take on more credit card debt. You may want to avoid getting another credit card if you’re struggling to keep up with bills and you have no room in your budget for additional fees and charges. SmartAsset's interactive map highlights the places in the country where people could be earning more in credit card rewards by changing payment methods. Click between states and the national map to see where people are leaving the most credit card rewards on the table. Methodology Our study aims to find the places where people are leaving credit card rewards on the table. We wanted to find locations where people could be earning more credit card rewards by responsibly increasing credit card use on existing discretionary spending. This can be a way to earn money on the purchases you are already making. First, we found the median income for every city. We then subtracted housing costs from that median income for each city. Next we wanted to estimate typical expenditures the average person in each city would make with their remaining salary. To do so, we considered all non-housing expenses from the Bureau of Labor Studies Consumer Expenditure Survey excluding medical and vehicle costs. We compared this typical expenditure number to the amount the average person spends on a credit card in each city. Data on credit card usage comes from the 2016 US Consumer Payment Study. The difference between the two numbers represents the lost opportunity. That is money that could be earning rewards if it were spent using a credit card. Finally, we applied a 2% rewards rate to that discretionary spending not currently being done on a credit card. This shows the rewards in dollars that are being left on the table by the average consumer in each city. We indexed this number to compare cities in each state and nationally.